We met nearly 6 years ago, at the start of our sophomore year at Redmond High School. We noticed each other in the hallways, but it wasn't until a mutual friend of ours introduced us at a football game that we started talking - over text... just a few feet away from each other. We were pretty shy at first and just texted for the first couple of weeks, but once we decided to meet up after school one day, we instantly became best friends. We started dating about a month later, when Logan asked me out with an adorable handwritten poem. From there began our adventure together - one of many ups and downs, laughs and tears, of milestones and growing up together, moving in together and having netflix dates, far off travels and many celebrations, and being parents to our furchildren. It's been the best time of my life. It was a long process. We knew from about a year into dating that we wanted to be together for the long run, but we were only 16 at the time. Logan gave me a promise ring on our 1 year anniversary at the Space Needle restaurant. When we moved in together into our first apartment when we were 18, we talked more about marriage and he talked about shopping for a real engagement ring. It got postponed due to finances, but we weren't in any rush. Finally we did pick out the ring, and started planning the wedding. There was no real proposal, and Logan felt bad about that, so he finally did surprise me on our 5 year anniversary while we were on a weekend getaway to Whidbey Island. We were on a walk in the woods, in the pouring rain, and I was in front of him. He called my name and when I turned around he was on bended knee with the box with my wedding band (we had just picked ours out, as wedding plans were underway and I was already wearing my engagement ring). He always has a hard time surprising me with things, but that time I was definitely not expecting it! 3. What inspired you while planning your wedding? My love of nature. I have often said that "nature is my church". I couldn't imagine having such an important and spiritually meaningful ceremony and celebration indoors. There was talk of "what if it rains?" because there was no indoor option at our venue. But I always said in that case we would either just go on with it in the rain, or we would wait for a sunny day! (We lucked out though! It was beautiful.) In every element of the wedding, I tried to stick to the nature & garden theme. Sometimes to the frustration of my mom, who helped brainstorm decor and ideas. (She was awesome about it though!) I was pretty strict about sticking to a natural color palette and use of materials that looked like they could be pulled straight from the garden around us. For example, our plates, bowls and forks were entirely made of bamboo! More specifically a part of the nature theme was a tree theme. 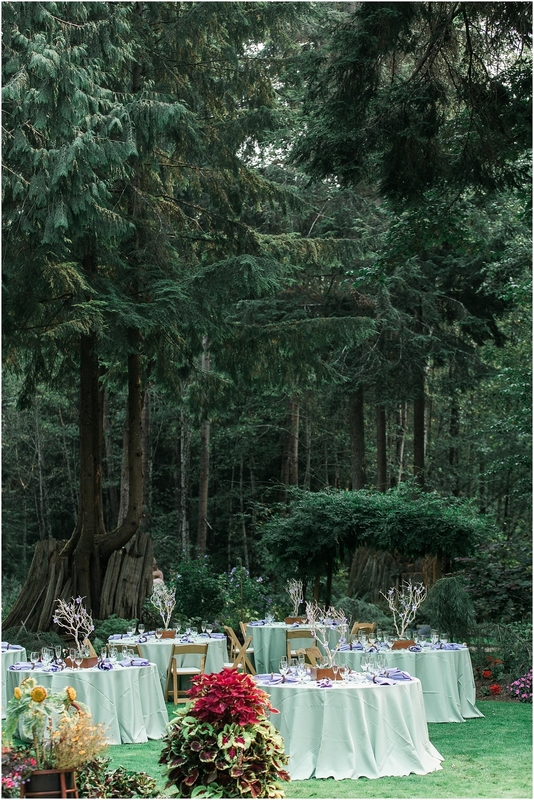 Trees have been a recurring and meaningful symbol in my life, and naturally, when Logan and I were thinking about the rituals we wanted to include in our ceremony, the idea of planting a tree together in the garden seemed perfect. Including other tree-elements into the decor came naturally - the centerpieces were trees (handmade entirely by my mom and I! ), we included tree slices on the dessert table as well as the stand for the pie stand, many other elements were made of natural wood, including my earrings which were hand-carved. The colored pencils for the coloring books were made with natural branches, and our napkin rings resembled a twisting tangled root pattern. My jewelry piece had a branching pattern to the chain, and all throughout the ceremony were metaphors around trees, roots, and branches. I loved how many little details we had that worked together. My hope was that our guests truly felt like they came to this beautiful place - Glen Echo - and became a part of the garden. Almost like they were transported to a different time or realm entirely. I hope we came close to that. 4. 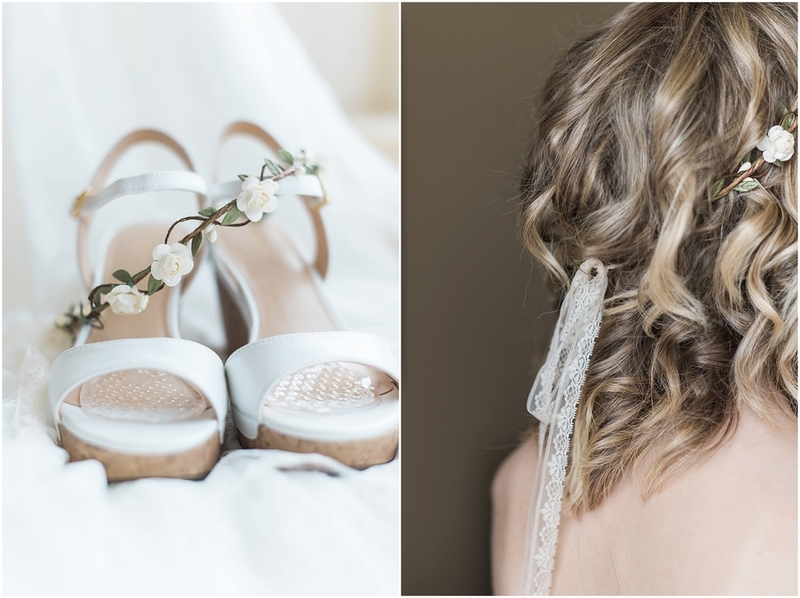 What were some of your favorite wedding day details? Oh there were so many details! As with all weddings of course. I think I'm just biased to ours because I spent a year and a half of my life doing nothing but planning, designing, even making those details, haha. I tried to include as many handmade/artist pieces as I could - I love to support small businesses, especially independent artists and crafters. Whenever I could I went through local artists (like Sarah Van Houten who made my amazing jewelry piece! I can't say enough good things about her.) but I also found a lot of very talented people through etsy! I absolutely love our little custom pie birds, handmade out of clay by Shauna (LavaGifts on Etsy) to match our wedding attire and colors perfectly. 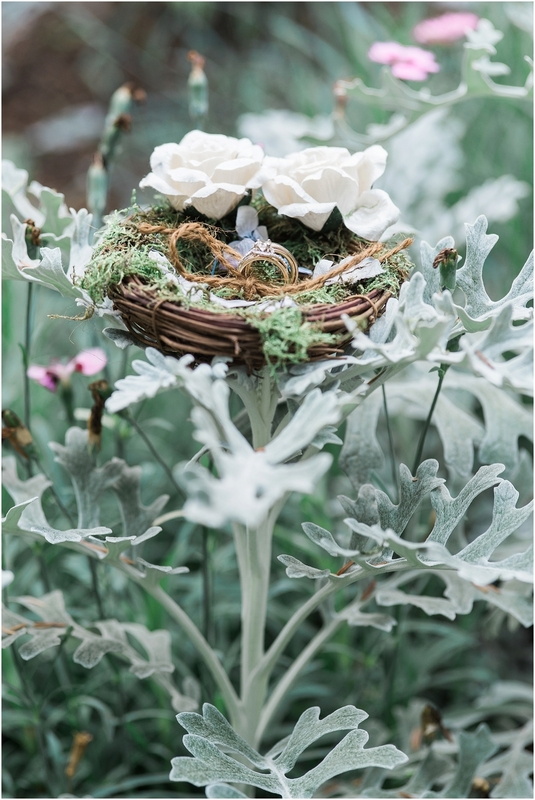 Our flower girl baskets and ring bearer nest were also beautifully crafted and fit so perfectly with our theme. They were made by Michele (MichelesCottege on Etsy). And believe it or not, all of our bouquets, boutonnieres, and corsages were made in Oregon and shipped to us the day before the wedding. Gina (bohemianbouquets on Etsy) is truly a pro with succulents and I definitely recommend her! And I loved our vow books made of wood, from Morgann Hill Designs. And the food! It was all vegan, and we got so many compliments on it - the caterer came all the way from Portland to Bellingham, and the desserts were local, from Barb's Pies and Mighty-O Donuts. Yes, there were a lot of them! Trying to keep on budget can be really hard! So there were a bunch of things that I did myself, some with my mom's help as well. It would take way too long to go into all of them, cause there wasn't much that I didn't do at least some degree of crafting/assembling myself. But some of my favorites were the programs - which I made from a template online, then cut, folded, hole punched and tied ribbon on 100! 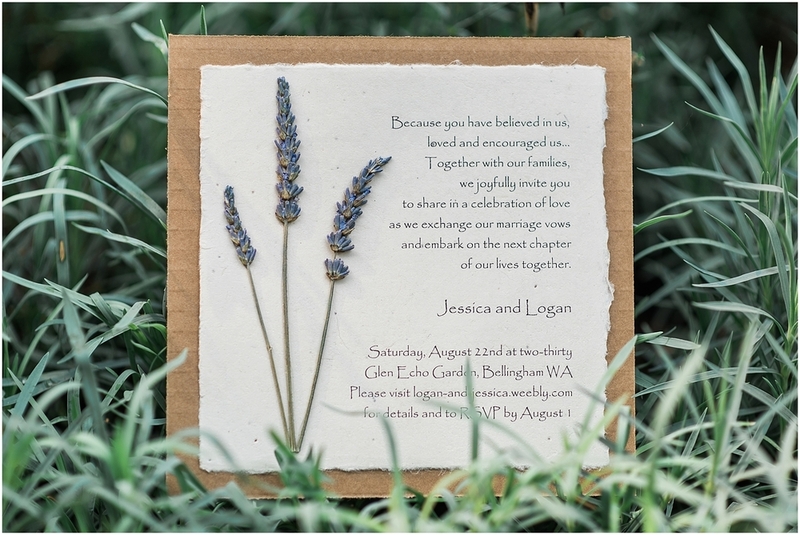 The invitations - we got printed from Of the Earth, but the dried lavender I bought separately, and carefully cut to size and glued 3 pieces on each invitation. Also I did pretty elaborate lettering designs on each envelope for everyone's names and addresses. That took about 2 weeks to finish, working nearly all day every day. For our guestbook, everyone wrote on rocks - which I really liked because we are using them in a rock garden that we can look at every day. It was a long process of cleaning off all the rocks when they came covered in dirt! But worth it (you can buy them cleaned from a craft store, but they are much cheaper from the hardware store - just takes a bit of work). I did all of the chalkboard signs, which definitely took a long time, especially since I am a perfectionist but don't quite have pinterest-level chalk art skills. But I am still happy with how they turned out because I put so much work into them. 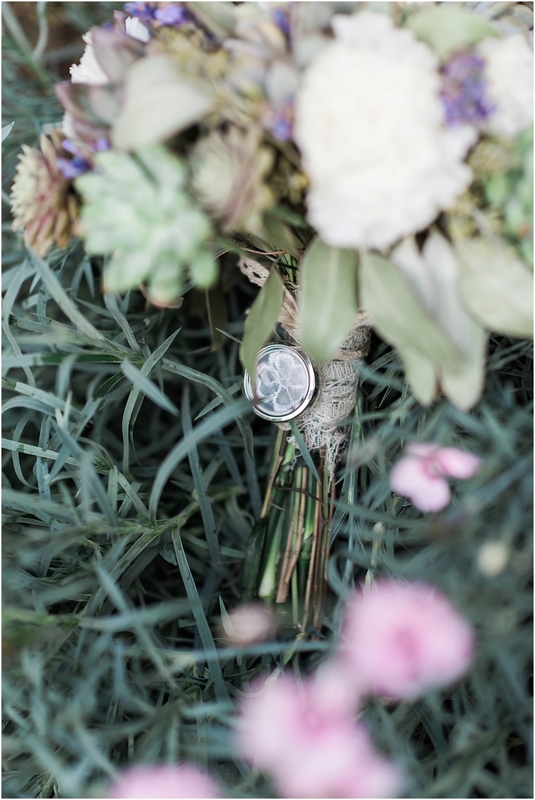 And a little detail I really liked was the little locket on my bouquet with a piece of lace from my mom's wedding dress. Oh and our coloring books! I designed every page from cover to back. I even tried to make the front cover look like us - those took so long to make! But I think it was worth it! 6. 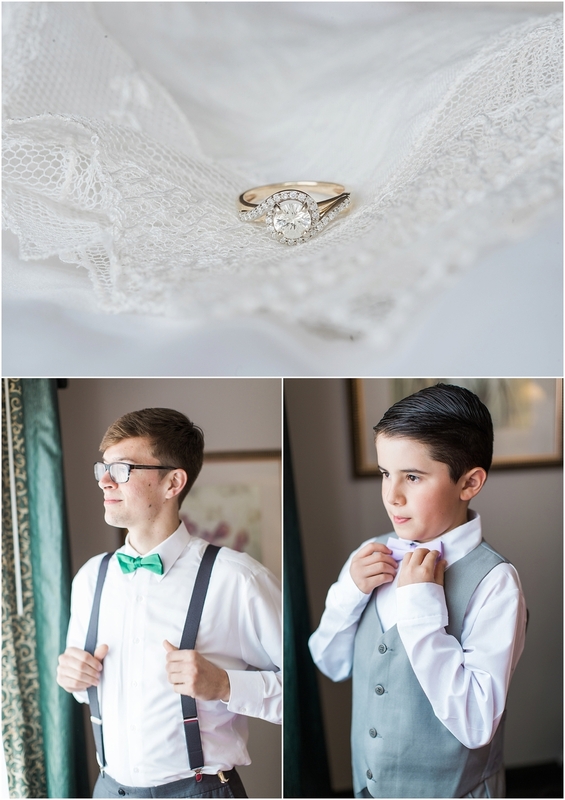 What were some of your favorite moments from your wedding day? Oh gosh it went by so, so fast! I hardly even remember to be honest... I just remember constantly having something we needed to be doing, one thing after another, and having no time to breathe (or, you know, go say hi to our guests...) I felt very frazzled. -Our first dance and how awkward it was - we hadn't slow danced since high school... and it was obvious, haha! 7. What advice would you give future brides? I think if I could go back and do it again, I would definitely do a few things differently! (1) I would try to budget for a wedding planner/coordinator, or at least a designer. I spent so much time and stress doing it all myself, and I think with someone's help I would have not only saved all that time and stress but possibly even some or all of the money it would have taken to hire them. 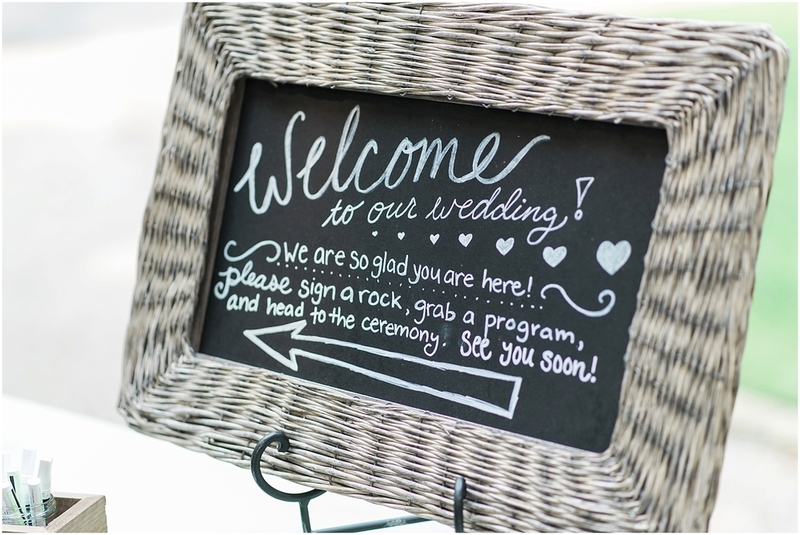 (2) Since I was a newbie to weddings, I didn't realize how far in advance all of your vendors need to be booked. Several of them, like my makeup artist and officiant, involved me freaking out for a week straight, emailing and calling everyone from Bellingham to Olympia and finding that everyone was booked. Obviously I finally found someone, and they ended up being the absolute perfect fit. But it definitely was stressful and time consuming! (3) Also a newbie to rentals - didn't think of how the linens would have fold lines when we got them and would need to be steamed. (the company didn't let us know either) so it was quite an eyesore and something I really really wish I would have thought of before! (4) The reception went by way too fast - it was on the shorter side to begin with, and because Bellingham was so far away for everyone, people who were elderly and those with young children started to leave early to start driving home. We had a few minutes to go around to tables and say hello, but not enough time to get to everyone. If I could go back I would have made the reception 2 hours longer. My biggest regret is how short it was. We had no time to even think straight, and several people thought that we ignored them purposefully or something - but honestly we just didn't have the time.